Phone Tahoe Valley Campground to make your reservation. 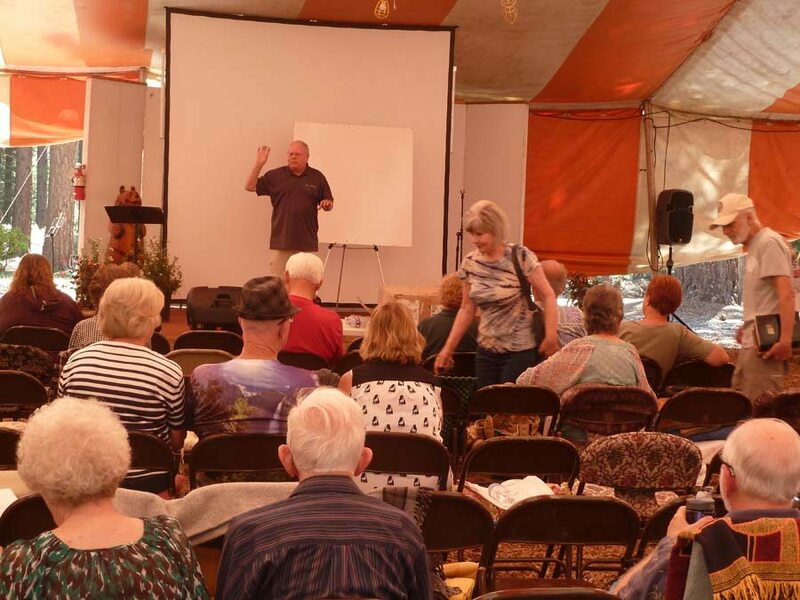 When You Check in at the campground don't forget to Tell them you are with the SDA Camp meeting and they will give you a discount. This campground is located off of Hwy 50 and C Street at South Lake Tahoe. You’ll love the campsites. The lanes are asphalted, full hookups for all RVs, fire pits and picnic tables, plenty of space for the tent-camping families, and located in the quietness of the tall pines. Dogs are welcome; however, they must be kept on leashes and cannot be left unattended. Call 530-541-2222 to make your reservation.